(Phys.org) —Two researchers affiliated with several research centers in the U.S. have built a computer simulation that casts doubt on the claim of many recent exoplanet discoveries. In their paper published in the journal Nature, Wladimir Lyra and Marc Kuchner describe how they added gas to debris disks in their simulations and found irregularities similar to those found around real stars. This means, the researchers explain, that not all disk cluster irregularities are caused by planets. For the past several years, researchers have been attributing the presence of planets to anomalies found in the disk pattern surrounding some stars. The thinking was that dust in the disk was being impacted by the gravity of a planet. But, Lyar and Kuchner write, that doesn't take into account the impact that gases in the disk may be having on its structure. Together they created a computer simulation similar to others used to study solar systems in the universe, but with the addition of gas and its interaction with dust. In their simulation, gas heated by the star is transferred to nearby dust in the disk. That, the simulation showed, caused the dust to clump in some parts of the disk, causing irregularities that resemble those observed in real solar systems. This, the researchers write, suggests that claims of planet discoveries in the absence of other observable phenomena might have to be reviewed. In star systems observable from Earth, researchers have seen dust clusters that have formed into disks. But rather then natural smooth ovals, several have sharp edges or orbits that are lopsided. 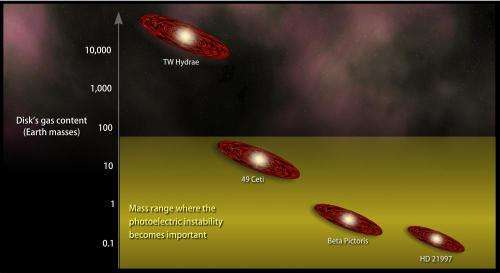 Until now, researchers have discounted the possible impact of gasses on such disks concluding that they were caused by the presence of planets—most of which, unfortunately, are too dim to be seen because of the overbearing light emitted from the star. Lyar and Kuchner postulate that gas amounts in disks surrounding stars may fall below the limits of detection, but not so much that they have no impact on the disk. Their simulation, they write, suggests that stargazers should not be so quick to label odd shaped disks around stars as proof of the existence of a planet. 'Debris disks' around young stars (analogues of the Kuiper Belt in our Solar System) show a variety of non-trivial structures attributed to planetary perturbations and used to constrain the properties of those planets. However, these analyses have largely ignored the fact that some debris disks are found to contain small quantities of gas, 9, a component that all such disks should contain at some level. 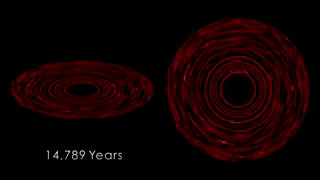 Several debris disks have been measured with a dust-to-gas ratio of about unity, at which the effect of hydrodynamics on the structure of the disk cannot be ignored. 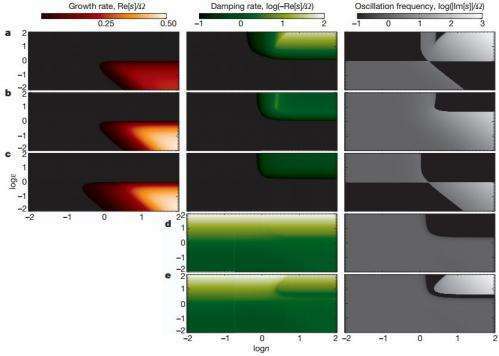 Here we report linear and nonlinear modelling that shows that dust–gas interactions can produce some of the key patterns attributed to planets. We find a robust clumping instability that organizes the dust into narrow, eccentric rings, similar to the Fomalhaut debris disk. The conclusion that such disks might contain planets is not necessarily required to explain these systems. Flat Earthers and other pseudo-scientific luddites will rejoice.......a straw to use to try to defeat the accomplished fact of exoplanets and substitute religious dogma in its place. Ancient Greeks and earlier societies knew Earth was a sphere; but after thousands of reasonable folks were burned at stakes or tortured to death in the inquisitions, a centuries long dark age ensued during the Medieval period. That dark age was broken only by war! A war brought about by the enabling technology of the printing press and the vagaries of Clausewitzian and Machiavellian politics that gave birth to the Reformation. Tragically, the dogmatics had to be killed in the mass death of the Thirty Years War along with millions of innocents.